Tranquil Canyons & Trees Surround this Private 1-Story Traditional w/ Modern Finishes on a No-Access Road in BHPO. 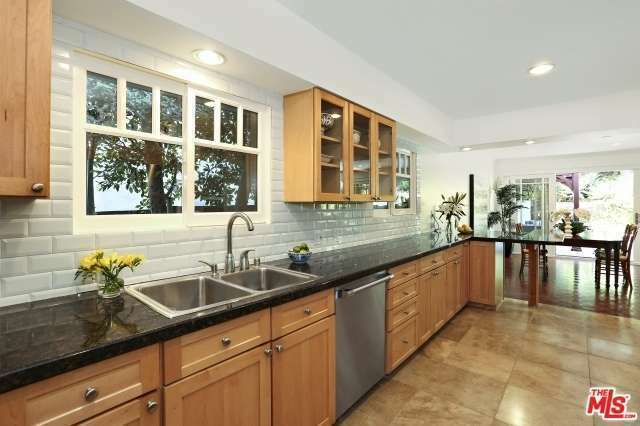 Minutes to Franklin Canyon Hiking Trails, Beverly Hills & in Warner School District! Open Floor Plan, Light-Filled Spaces & Hardwood Floors. Spacious Living & Family Rooms Divided w/ Wood-Burning Fireplace & French Doors. Kitchen w/ Stainless Appliances, Granite Counters & Custom Cabinets. Three Bedrooms Including Gracious Master Suite w/ Views to the Glimmering Pool & Remodeled Master Bath w/ Carrera Marble & Sumptuous Shower. Dual-Paned Windows, Dual-Zoned AC, Newer Roof & 2-Car Garage w/ Direct Access. Swimmer's Pool w/ Bubbling Spa in Private & Lush Setting Surrounded by Native Landscaping & Chirping Birds. Priced under Market - Property Appraised @2.150M in 2015. Inquire w/ LA1 Agents: Owner has RE License Read Prvt Remarks.